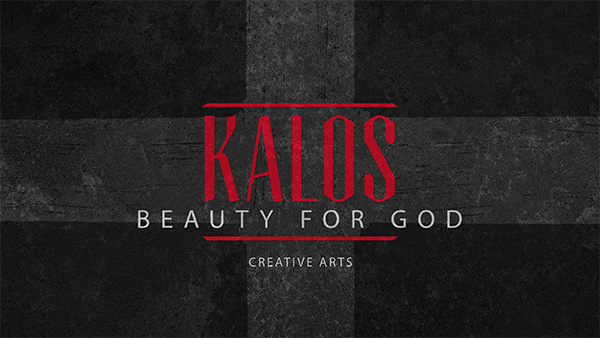 Kalos Theo is a Greek phrase meaning “beauty to/for God.” As a ministry team,we desire to use art and creativity as a form of worship. Our God is not only good and true, but a God of beauty and creativity. Everything beautiful comes from and is dependent on God. Because we are made in God’s image, we not only recognize and enjoy beauty, but we are also gifted by God to create beauty. We employ various forms of art in the church to reinforce the weekly teaching, challenge the Church to use their gifts creatively, and worship God as good, true and beautiful. The Gospel story is rich and beautiful, so it should be shared creatively and displayed beautifully. We create beauty for the glory of God. We use beauty to communicate what is true and good. We produce avenues for people to creatively serve God. We desire to reach unbelievers with the Gospel through art(s).